New York pastry chef Martin Howard was inspired by Inception when he created the "Treat within a Treat" cupcake. Where the film excites fans with a dream within a dream scenario, Martin created a devil's food cupcake that is filled with butter cream. 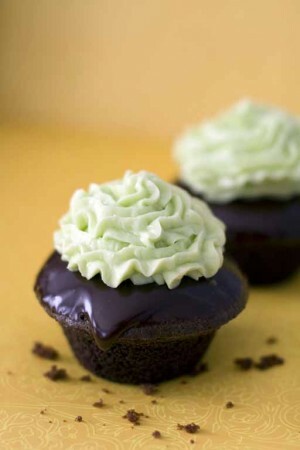 The filling is concealed by a topping of chocolate ganache. "I added my own twist on the traditional butter cream with a hint of Lucid absinthe to add an extra layer of flavor, and, of course, as a nod to the film's lucid dreams," he says.